The respective addresses of the authors are International Small Livestock Research Center, Department of Food Science and Animal Industries, Alabama A&M University, PO Box 264, Normal, AL 35762, USA; and the Rabbit Research Center, Department of Animal Science, Oregon State University, Corvallis, OR 97331-6702, USA. 1 This is the second of two articles on rabbit project development strategies, the first of which appeared in World Anim. Rev., 68. The marked rise in rabbit project development activities in developing countries, observed over the past ten years, may be attributable to the increased awareness of subsistence rural and peri-urban inhabitants to the potential of small-scale rabbit production. The need for descriptive data of rabbit populations and relevant economic, nutritional and sociological parameters associated with rabbit production is now being met by such developing countries as China, Egypt, Indonesia, Mexico, Nigeria and the United Republic of Tanzania This article addresses local technology issues and specifies appropriate research that could promote production of these useful species. In many instances. technical information available from developed countries is not appropriate to local conditions in developing countries. Applied research on vital aspects of rabbit production such as breeding and genetics, disease control, economics, housing systems, management, nutrition and reproduction, is urgently needed in developing countries to ensure a high success rate of rabbit development projects, which could have a favourable economic, nutritional and sociological impact. It is generally thought that rabbits were first introduced into many developing countries by colonial settlers and missionaries. Rabbit production largely represents, therefore, a relatively recent small livestock activity in developing countries. Basic and applied rabbit research conducted in developed countries has contributed numerous reports to the scientific literature. However, research reports from developing countries on various production aspects of rabbit production are limited. Results of the former studies are generally not appropriate for tropical production systems because of differences in climate, diet, housing and management, and the genetic stocks used were found only in temperate regions. For projects in developing countries to be successful, more research should be carried out under local conditions, taking into account economic, social, breeding stock and forage resource factors. The progenitor of the domestic rabbit, Oryctolagus cuniculus, is believed to have evolved in the Mediterranean region, later extending into the Near East and North Africa. Beyond this restricted geographical area, the rabbit may be truly considered non-indigenous. In general, two types of rabbit are found throughout the developing world: local strains and improved, exotic breeds. Local strains, such as the Criollo in Latin America, the Japanese Large White and Sichuan White in Asia, and the Baladi in the Near East and North Africa, may have existed in these regions for decades, possibly centuries. In most cases they represent an introduced, and not a truly indigenous food species. For the local strains, it is possible that genetic adaptation to a unique environment has gradually occurred. Such valuable germplasm resources should be properly conserved with the support of government policy. Where local strains are in danger of extinction, efforts should immediately be made to preserve such genetic stocks (Lukefahr, 1988a). One typical observation of many local strains is the small body size and low productivity. This may be explained on genetic grounds by: the original introduction of small, low-productivity stock; natural selection; and the absence of artificial selection for increased productivity. A second general impression is the seemingly wide genetic variability, detected at the phenotypic level within many local rabbit strains. Such characteristics include coat colour, body conformation, size and production. In Cameroon, for example, one local strain expressed some 18 different coat colours and/or patterns, reflecting perhaps the original crossings of several distinct rabbit breeds prior to or following initial introduction to the country. In addition, there may be important levels of heterosis which favourably affect performances, especially where the local strain represents a composite of several original breeds. This specific genetic effect may enhance greater physiological capacity for successful environmental adaptation. Furthermore, heritability levels could be significantly increased, according to genetic theory. Reports to confirm such hypotheses are not conclusive in the literature; however, should such wide genetic variability indeed exist within certain local strains for production traits, there would appear to be ample opportunity for achieving impressive genetic progress through applied selection. Simultaneous genetic improvement for both local adaptation and production-characteristics could be set as the primary goal for government breeding stations and large private rabbit farms. Table 1 provides pertinent information on reported heritability estimates for various production traits in rabbits. Selection emphasis should be applied to traits of moderate to high heritability, such as individual growth and carcass-related traits. For low heritable traits, such as litter size and survival, baseline culling levels (independent culling technique) for low to average productivity should be established. Unfortunately, a widely observed practice is the indiscriminate crossing of breeds on the unfounded notion that local breeds are genetically inferior. A serious consequence of this practice is the possible loss of local germplasm and lowered productivity from imported breeds as a result of unsuccessful environmental adaptation. In all cases, breed evaluation tests (local versus exotic stocks) should probably be conducted prior to widespread distribution. Numerous exotic rabbit breeds have recently been introduced into many developing countries, with the most common imported breeds including the Californian, the Chinchilla, the Flemish Giant and the New Zealand White. Although some decline in fertility has been observed, in general, many exotic breeds of rabbits have been observed to perform relatively well under diverse environmental conditions (IFS, 1978; Campos et al., 1980; Carregal, 1980; Damodar and Jatkar, 1985), provided proper feeding, housing, management and health measures were consistently practised. For breed comparisons across broad regions of the developing world, limited data on only two breeds - Californian and New Zealand White - are reported in the scientific literature. Both commercial meat breeds would appear to be potentially suitable for most environments. More basic research is needed in order to make major recommendations on the appropriateness of certain breeds in specific environments. At present, no breed of rabbit can be recommended universally. An animal breeding practice popular in many developing countries is simple upgrading. This involves successive generations of matings of an exotic breed with the locally available strain in order to increase the proportion of exotic breed inheritance. In terms of annual meat productivity, the early generation crosses may perform better than the local parental strain. Thus, some rabbit projects prefer to distribute cross-bred stock to farmers. From a genetic standpoint, exceptional cross-bred productivity, if real, may be attributable to favourable additive and maternal breed effects, heterosis and/or other more complex forms of gene action. Where genetic expertise and resources are available, such improved traits may be developed into new synthetic breeds of rabbit. To date, no improved breed of rabbit has been genetically developed under tropical conditions, and research in this promising area is strongly recommended. More sophisticated systems of cross-breeding - for example, rotational and terminal crossing -while being more widely practised by commercial operations in developed nations, are not feasible at present in developing countries. Such advanced systems, furthermore, involve various sectors in the commercial rabbit industry, such as seed stock and hybrid stock companies which generally do not exist in developing countries. In terms of practical stock selection, farmers may avoid undesired inbreeding through routine exchanges of herd bucks with other farmers. Selection of offspring from consistently productive and healthy parental stock is recommended to farmers. This calls for regular pedigree and production records as well as simple financial records. 1 Complete references cited by Lukefahr (1988b). Readers may contact Prof. Lukefahr for a complete list. In the developing countries, there is currently a substantial demand among farmers and other project recipients for quality breeding stock. and national and regional rabbitbreeding centres (governmental and private) are now providing this valuable service in several countries. One of the advantages of production in tropical countries is that rabbits can be fed forages and agricultural byproducts not suitable for human consumption. In general, if available feedstuffs are suitable for poultry production, then it is more efficient to produce poultry rather than rabbits. The role that rabbit production can play is in the utilization of fibrous by-products that are useful neither for poultry nor swine, and of forages that may be available in insufficient quantities for ruminants. When these feeds make up the bulk of the diet for rabbits, the use of a small quantity of concentrate feed to improve performance can be justified. The growth performance of rabbits in studies reported from tropical countries is generally in the range of 10 to 20 g per day, in contrast with the 35 to 40 g per day which is commonly observed in temperate regions. The lower result in the former case may be attributed to a number of factors, including heat stress as well as diet. Only limited data are available on the nutritional value of tropical feeds for rabbits, and even less data exist on feeding systems and programmes. The most extensive compilation of nutritional data on rabbit feeds is that of Raharjo (1987), who evaluated a number of Indonesian forages and agricultural by-products. 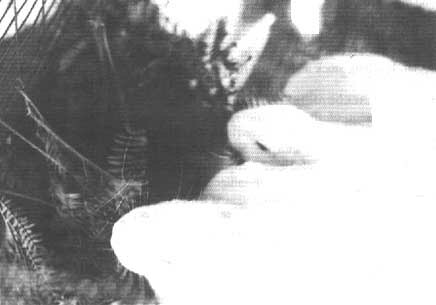 Ayoade, Makhamvera and Kayange (1985) reported on the composition of a number of African forages that have potential as rabbit feeds. The tropical legume forages, in general, have a high content of digestible energy and protein, while the tropical grasses are characterized by an extremely low digestibility (see Table 2). Thus, the selection of forages can be of major importance. In Indonesia, for example. producers have had very little success with the use of Setaria spp. as rabbit forage. Even though the grass would appear to be a suitable feed, it is almost completely indigestible (see Table 3). Tropical grasses have a cellular structure that resists degradation in the digestive tract. They also have a high content of poorly digested constituents such as vascular tissue, parenchyma bundle sheaths and epidermis, and a low content of the more readily digested mesophyll cells. Many more data of the type shown in Tables 2 and 3 are needed on tropical feeds to allow recommendation of the most useful feedstuffs and to dissuade farmers from using forages that are very low in nutritional value. Many tropical feeds contain toxicants and some tropical legumes contain toxic amino acids or alkaloids. Leucaena, for example, contains mimosine, while cassava contains cyanogens. By using a mixture of forages, the concentration of specific toxins can be kept to non-hazardous levels. Thus, potentially valuable feeds such as leucaena can be utilized as components of forage mixtures. Rabbits can be raised successfully without the use of grain in the diet. Raharjo et al. (1986a), for example, used a diet in which all of the protein and energy were provided by alfalfa meal and wheat milling by-products, and it was found that production of does over several parities was adequate. Because energy and protein needs are highest during lactation, a concentrate supplement could be used for lactating does, while the weaned rabbits could be raised entirely on forage and agricultural by-products such as wheat bran or rice bran. Rice bran is an excellent energy source for rabbits (Raharjo, 1987), and is available in large quantities in many developing countries. However, it is susceptible to rancidity, which can reduce palatability, and care should be taken to avoid rancid rice bran in feed. The amount of forage offered should be close to the amount voluntarily consumed. Fresh forage should be provided at least twice daily and the uneaten material removed before additional feed is offered to prevent spoilage. With palatable forages, the daily intake of fresh forage for a doe or weaned rabbits will be approximately 400 to 500 g per animal per day and the amount of concentrate offered should be approximately 50 g per animal per day. Either a purchased commercial concentrate or a home-made compounded supplement consisting of garden and table refuse may be used. In addition, rabbits require salt in their diet. The palatability of forages is an important factor in rabbit production, particularly when the forages are expected to provide a major part of the daily nutrient intake. Raharjo and Cheeke (1985) and Raharjo (1987) evaluated a number of Indonesian forages in feed preference tests. In general, tropical legumes were preferred over grasses and agricultural by-products, with the exception of gliricidia (Gliricidia sepium), a legume which proved to be unpalatable. Leucaena (Leucaena leucocephala) is a very palatable feed for rabbits, even though it contains the toxic amino acid, mimosine. Erythrina (Erythrina lithosperma), another legume, was well accepted. Sweet potato vines were palatable to rabbits in the study of Raharjo (1987), while banana and papaya leaves were poorly accepted. Most of the grasses, such as setaria, brachiaria and elephant grass, were found to be less palatable than the legumes. The leaves of trees in many areas can be used to provide forage in the dry season. Besides the tropical legumes mentioned previously, trees with potential for feeding include the mulberry (Morus spp. ), used in India, Brazil and Costa Rica as a forage, and black locust (Robinia pseudoacacia), grown extensively in China for rabbit feed. Ramie is utilized in Brazil, where it is considered a highly palatable and nutritious green feed for rabbits. 1 Panicum maximum cv. green panic. 2 Panicum maximum cv. Guinea. Source: adapted from Raharjo et al., 1986b. Further research- is needed on the nutritional and feeding value of tropical feeds for rabbit production and on development of optimal feeding systems. Cheeke (1987) summarized the information currently available on the nutrition and feeding of rabbits under temperate and tropical conditions. When a high standard of hygiene and careful management are practised (IFS, 1978), one distinct attribute of rabbit farming is the relatively low incidence of epidemic diseases. Rabbits do not require routine vaccination or medication for the prevention or treatment of specific diseases. This is an important factor since, in other livestock species, a lack of appropriate drugs is sometimes a major constraint to successful production. When a disease does occur in rabbit farming, local remedies can often be effectively used in treatment. One common disease condition, referred to as ear mites and caused by an external parasite, Psoroptes cuniculi, can be both prevented and treated by applying drops of an oil-kerosene solution directly inside the ear canal. Vegetable oil, red palm oil and even clean engine oil may be used. For the control of digestive disorders, diarrhoea and constipation for example, various medicinal herbs and green vegetables used in Cameroonian tribal cultures have been observed to provide similar therapeutic results in rabbits (Lukefahr and Goldman, 1985). Other conditions, such as abscesses, cannibalism, skin mange and warbles, have likewise been inexpensively controlled with proven local measures. In tropical countries, Owen (1976) observed a trend of lower disease incidence and/or higher productivity levels in rabbit operations managed as small-scale family units as opposed to intensive, commercial units. In large operations, on the other hand, management quality per animal may be inferior and close confinement may mean greater likelihood of rapid disease outbreaks, particularly of myxomatosis and pasteurellosis. Where large central rabbit operations exist, therefore, it is imperative that stringent levels of hygiene, the culling of diseased animals and proper quarantine measures be maintained. Two diseases of major global concern to rabbit producers are coccidiosis and pasteurellosis. While coccidiosis can largely be prevented and treated, the disease often goes undiagnosed and serious physical damage occurs; for example, liver damage and severe weight loss. Raising rabbits on the ground aggravates the problem because of the more direct exposure to the infectious agent. 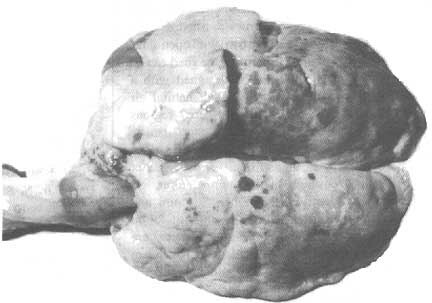 Various sulpha-based drugs have shown good results in controlling rabbit coccidiosis (Aduma, 1978). Sanitation is a critical determinant in the control of episodic frequency and morbidity levels due to coccidiosis outbreaks. Pasteurellosis is a disease caused by a bacterium (Pasteurella multocida) which affects nearly all body tissues. Symptoms of the disease include muco-purulent nasal discharge, pneumonia, dermal abscesses, conjunctivitis, infertility and death. Only limited success is noted with treatment using broad-spectrum and sulphabased drugs. Moreover, only a culture test can confirm definitive exposure to P. multocida. In well-managed rabbit herds, however, the disease is rarely a problem. At present, the best means of controlling pasteurellosis is through correct housing design, strict culling of infected animals and/or selection of healthy stock and quarantine. Some laboratories and universities have developed specific pathogen-free (SPF) stock that are pasteurella-free. Projects have in some cases established rabbit populations through SPF stock importations. General guidelines for rabbit stock importation, with regard to disease control and sound genetic resource utilization, are given in the Box. Pasteurellosis has been detected in certain rabbit projects in developing countries and it has been the opinion of project managers that the disease was introduced by the original imported stock. In one major rabbit project in China, some rabbits suffered sneezing, nasal discharge and matted inner forepaws, symptoms of a seemingly rare respiratory disease. A team of veterinarians was perplexed as to the cause of the disease, but a rabbit specialist later recognized the disease as a classic case of pasteurellosis (Milne, 1982). Unfortunately, this scenario has occurred repeatedly in several other countries. A paper from China by Xu, Du and Liu (1988) reported the serious outbreak of a new viral disease (rabbit haemorrhagic disease virus -RHDV) which has manifested itself in parts of Asia and Europe, and more recently in North America. Body organs such as the lungs, liver and spleen are severely affected. To date, no effective treatment is available since the immunological mechanism is not understood. Strict quarantine measures to control further spread of this disease are now being implemented (Patton, 1989). · Obtain breeding stock from highly productive commercial sources. · Stock should be certified disease-free by a licensed veterinarian. · Conduct a culture test for pasteurellosis. · Treat stock for coccidiósis according to drug dosage recommendations and pre-condition stock with a fresh forage based diet prior to shipment. Avoid stock from viral haemorrhagic disease areas. · Procure documentation of health certification. · Ensure a broad genetic base per breed (minimum of 15 bucks and 25 does per shipment). · Shipment should be of young virgin stock, ideally three to four months of age. Stock should be shipped during the most favourable season to avoid undue stress. · Delay breeding for approximately two months after the stock's arrival at its final destination. · Maintain high-level feeding and management, including stock quarantine. · Closely monitor individual record performances to assess relative adaptation. · Retain an adequate supply of young replacement stock. · Select progeny from proven adapted and productive parental stock. Panicum maximum cv green panic. Veterinarians and extension field workers need to become more familiar with the diagnosis, prophylaxis and treatment of rabbit diseases, particularly in regions where rabbit projects or enterprises exist. Applied research in these same basic areas of rabbit pathology is also urgently needed. Like other livestock species, rabbits need protection from adverse environmental conditions. This includes protection from predators. While ample sunlight and ventilation are important, extremes of both may well limit production. Air quality is of major concern in the control of respiratory diseases, such as pasteurellosis and pneumonia. Under controlled experimental regimens, Stephen (1981) and Poujardieu and Matheron (1984) investigated varying temperature and humidity stress effects on growth and feeding performances of rabbit fryers. Stephen (1981) observed optimal productivity at 18°C (versus 5° and 30°C) and 70 percent humidity (versus 60 and 80 percent) of 37.4 g average daily gain and 4.23 feed efficiency values. It is established that high ambient temperatures can cause infertility in breeding rabbits, bucks being more sensitive than does, and 30°C is considered the threshold point beyond which infertility may result. A number of practical measures for alleviating heat stress have been documented by Cheeke et al. (1987); these include providing cool water, ample shade, evaporation cooling, appropriate housing design and placement, and the use of young and potent bucks. The rabbit's basic shelter needs are modest. It is fortuitous that a variety of locally available building materials used in the construction of simple sheds, hutches, nest boxes, hay racks and feeding and watering equipment are generally abundant in tropical developing countries. Suitable shelter for rabbits can be made in an outdoor shed, veranda or spare room, or a complete hutch (cage with roof and siding) can be constructed. Shed designs should be of a narrow width (less than 6 m) with open sides to facilitate natural ventilation. The run of the shed can be of any length and the height can be designed with a chimney effect to provide cooling through natural air movement (Cheeke et al., 1987). In semi-desert regions where wood is scarce or costly, rabbit shelters can be constructed with mud and grass thatch (Owen, 1981). The rabbit dome concept- an underground earthen shelter which offers relief from high daytime temperatures - is used in arid areas (Gentry, 1983; Finzi, Scappini and Tani, 1988). However, floor-rearing systems of rabbit production, common in the Near East, however, are usually associated with an increased incidence of parasitism (coccidiosis) as a result of direct floor contamination. Hutches can be of various shapes. 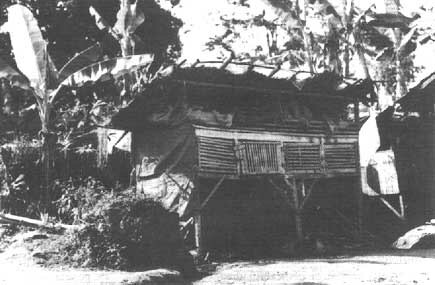 Durable and inexpensive building materials include bamboo, raffia palm, "bush sticks", woven wood straps, bricks or mortar (McNitt, 1980; Owen, 1981; Cheeke, 1983; Lukefahr and Goldman, 1985). Each breeding doe unit requires a cage floor area of lless than 1 m2, while each fryer unit requires from 0.05 to 0.10 m2. Regardless of the construction material used, the hutch should be kept clean and comfortable under the direct control of the farmer. Similarly, accessory equipment-hay racks, nest boxes, salt and feeding and watering containers - can be made from a diversity of products, including such refuse items as bottles and tins. Nest boxes made of wood, clay, metal and basket materials are useful for accommodating young litters and they should be supplied with fine-stemmed grass hay, cotton, shredded paper, wood shavings or similar insulatory material to enhance litter survival. Feeding and watering equipment must be readily accessible, voluminous and regularly cleaned. Clean water should always be available. Rabbit losses caused by predators and thieves are a common threat to farmers. Proven control measures include sturdy, well-designed hutches; a protective fence; a guard dog; the close proximity of the rabbitry to the compound; the installment of noisy alarms such as bells, chimes and gongs, spring-loaded rodent-traps, locks and native taboo deterrents. 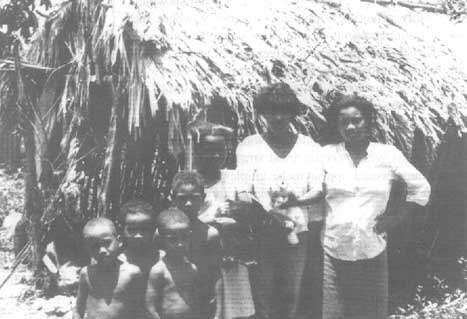 Aduma, J.P. 1978. Coccidiosis in rabbits. Workshop on Rabbit Husbandry in Africa, Morogoro, Tanzania. p. 155-162. Stockholm, IFS. Ayoade, J.A., Makhamvera, T.P.E. & Kayange, M. 1985. Studies on the nutrition of rabbits in Malawi. I. A preliminary study on the chemical composition of some Central Malawi plants eaten by rabbits. J. Appl. Rabbit Res., 8: 81-82. Campos, A.P., De Rochambeau, H., Rouvier, R. & Poujardieu, B. 1980. The Mexican program of selection in rabbits: objectives and first results. Proc. 2nd World Rabbit Congr., Barcelona. p. 263-273. WRSA. Carregal, R.D. 1980. Evaluation of the heterosis, combining abilities, and maternal and reciprocal effects in rabbits. Proc. 2nd World Rabbit Congr., Barcelona. p. 213-220. WRSA. Cheeke, P.R. 1983. Rabbit production in Indonesia. J. Appl. Rabbit Res., 6: 80-86. Cheeke, P.R. 1987. Rabbit feeding and nutrition. Orlando, FL, Academic Press. Cheeke, P.R., Patton, N.M., Lukefahr, S.D. & McNitt, J.I. 1987. Rabbit production. Danville, IL, The Interstate Printers & Publishers, Inc.
Damodar, N. & Jatkar, V.D. 1985. Adaptability of broiler rabbits under subtropical climates. Indian J. Anim. Sci., 55: 610-611. Finzi, A., Scappini, A. & Tani, A.1988. Les élevages cunicoles dans la région du Nefzaoua en Tunisie. Rivista di Agricoltura Subtropicale e Tropicale, 82: 435-462. Gentry, J. 1983. Raising rabbits in domes. J. Appl. Rabbit Res., 6:89. IFS (International Foundation for Science). 1978. Workshop on Rabbit Husbandry in Africa, Morogoro, Tanzania. 206 pp. Stockholm, IFS. Lukefahr, S.D. 1988a. Conservation of global rabbit germplasm resources. Proc. 4th World Rabbit Congr., Budapest. p. 129136. WRSA. Lukefahr, S.D. 1988b. Progressive genetic applications for improved commercial production efficiency in the rabbit industry. Proc. 1st North American Rabbit Congr., Portland, OR. p. 161-175. Lukefahr, S.D. & Goldman, M. 1985. A technical assessment of production and economic aspects of small-scale rabbit farming in Cameroon. J. Appl. Rabbit Res., 8: 126-135. McNitt, J.I. 1980. The rabbit as a domestic meat source in Malawi. J. Appl. Rabbit Res., 3: 5-11. Milne, G. 1982. A first-hand look at Chinese rabbit production. J. Appl. Rabbit Res., 5: 54-60. Patton, N.M. 1989. 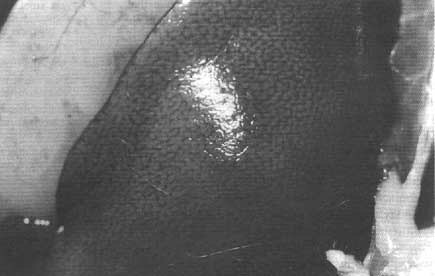 Viral haemorrhagic disease of rabbits. J. Appl. Rabbit Res., 12: 64-66. Ponjardieu, B. & Matheron, G. 1984. Influence d'une ambiance chaude et humide sur la croissance de futures reproductrices. Proc. 3rd World Rabbit Congr., Rome. Vol. I, p. 107-118. WRSA. Raharjo, Y.C. 1987. Evaluation of tropical forages and byproduct feeds for rabbit production (Ph.D. dissertation). Corvallis, OR, Oregon State Univ. Raharjo, Y.C. & Cheeke, P.R. 1985. Palatability of tropical tree legume forage to rabbits. Nitrogen Fixing Tree Research Reports, 3: 31-32. Raharjo, Y.C., Cheeke, P.R. & Patton, N.M. 1986a. Growth and reproductive performance of rabbits on a moderately low crude protein diet with or without methionine or urea supplementation. J. Anim. Sci., 63: 795-803. Raharjo, Y.C., Cheeke, P.R., Patton, N.M. & Supriyati, K. 1986b. Evaluation of tropical forage and by-product feeds for rabbit production. I. Nutrient digestibility and effect of heat treatment. J. Appl. Rabbit Res., 9: 56-66. Rugh, J.W. 1978. Housing of rabbits in Africa. Workshop on Rabbit Husbandry in Africa, Morogoro, Tanzania. p. 171-179. Stockholm, IFS. Stephen, E. 1981. Effect of ambient temperaturas on the fattening performances of sable rabbits of different breeds. Kleintierpraxis, 26: 313-317. Xu, W., Du, N. & Liu, S. 1988. A new virus isolated from haemorrhagic disease in rabbits. Proc. 4th World Rabbit Congr., Budapest. p. 456-462. WRSA.